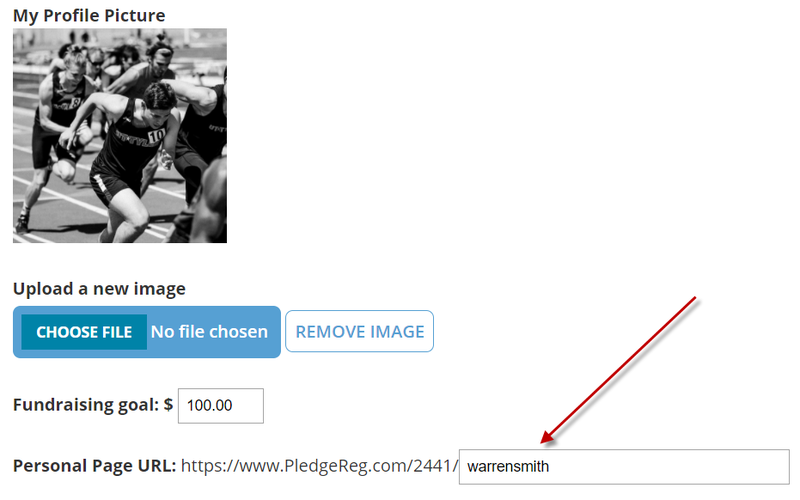 PledgeReg, the fully integrated peer-to-peer fundraising platform, now has the ability for teams and individuals to have custom URLs for their fundraising pages. Custom URLs provide a level of personalization for both individuals and teams when they are sharing their pages to solicit donations from family and friends, making it easier than ever to quickly let your potential donors know which page they should be directed to. Custom URLs are assigned based on either the fundraiser’s first and last name, or the team’s name and give a nice personal touch to the fundraiser’s landing page. To change your custom URL, login to your PledgeReg account and click on Edit My Page if you are an individual and Edit My Team Page if you are a team captain. Change the URL to something that resonates with you or your team and then share it with friends and family!